Day three of the Lunar New Year, the second New Year celebrated in Thailand and first I have seen that uses an egg for New Years greetings. Additional pictures: http://www.tumblr.com/blog/faranginbangkok For more updates about Bangkok, Thailand and other thoughts: www.twitter.com/lilrichardb I began working in Bangkok during 2008- a time that featured a great deal of political unrest in Thailand and particularly Bangkok. I had lived in San Francisco for 15 years and was working on a project in Thailand. Generally I spent 2 weeks in Bangkok and then 3-4 weeks in San Francisco. Did Bangkok begin to feel like home? Yes, and No. Bangkok and the Thai culture forced me to feel many things, the change in culture and environment was so dramatic it forced the decision- embrace or ignore. I embraced and made Bangkok my home and base in 2009. I have enjoyed living in Bangkok, experiencing Thailand and the entire ASEAN region. 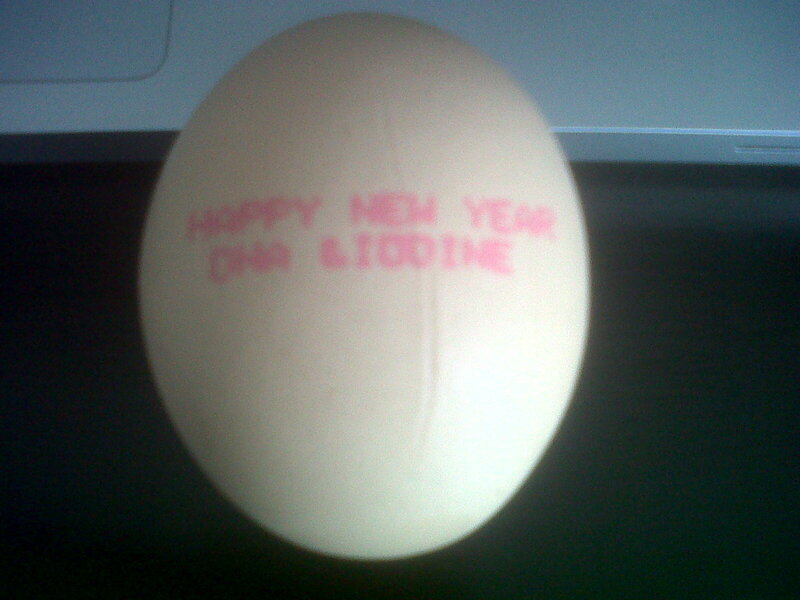 This entry was posted in Uncategorized and tagged Chinese New Year 2011, egg. Bookmark the permalink.